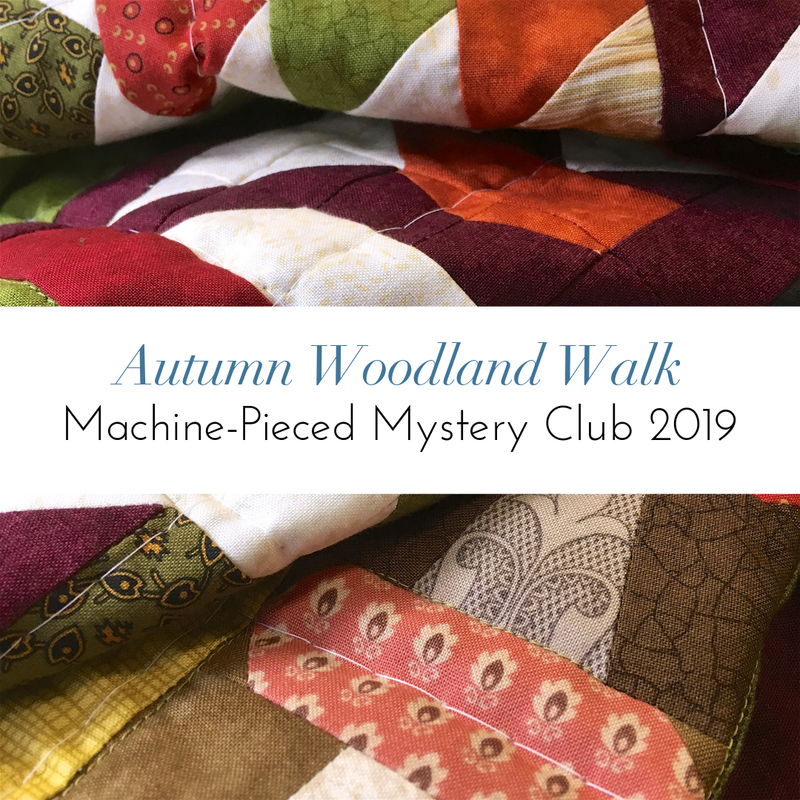 Join us for a magical mystery tour through the autumn woods as we make our 2019 machine-pieced mystery project! Bramble Babe Julie has designed this charming pictorial quilt featuring the flora and fauna of our own British woodland in a rich mix of autumnal tones. Finishing at 52" x 55", this delightful design is entirely rotary-cut and machine-pieced (no foundation piecing!) and suitable for anyone with basic patchwork skills. 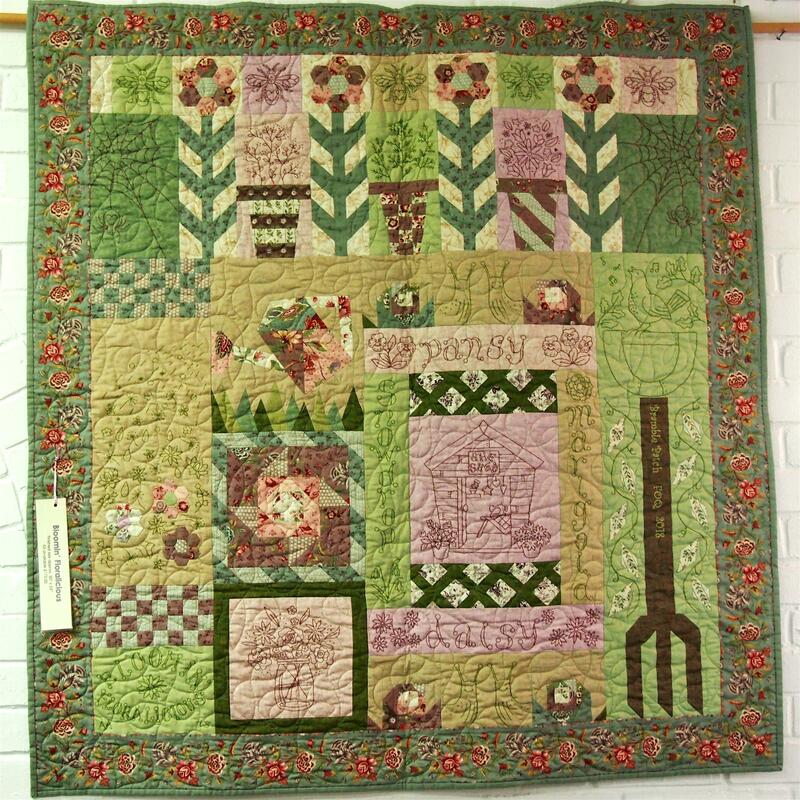 Julie designs some of our most popular quirky and characterful quilts and this one is no exception! This is a six-month project. 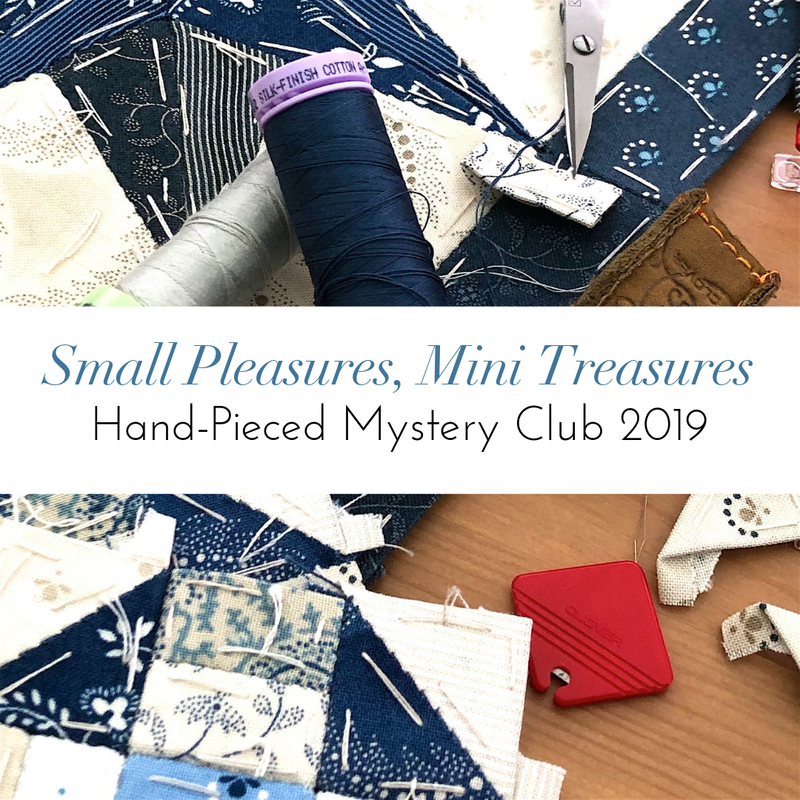 At the beginning of the project, you will receive a kit of fabrics (a total of 7.5 metres) containing all the fabrics you'll need to make the quilt top with borders and binding. Wadding/batting and backing fabric are not included. Then each month you'll receive an email with your patterns for the month as downloadable pdf files that you can keep on your computer/tablet/phone or print out at home. You will also need a rotary cutter, ruler and mat, a sewing machine, and general sewing kit (needles, threads, scissors, etc). In terms of techniques, you need to be able to make accurate rotary cuts and stitch a scant 1/4" seam. Your kit includes 7.5 metres of co-ordinating fabrics curated by the Bramble Babes for the project from our designer collection prints, basics and blenders. The autumn palette features rich greens, browns, rusts, ochres and berry shades. Kits will be despatched at the end of the first week of January. Thereafter each month's patterns will be sent on the first of the month.